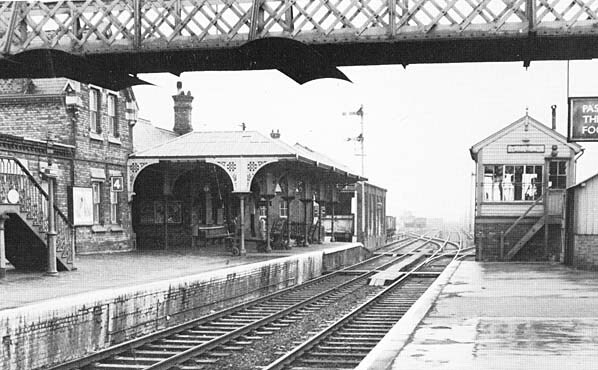 Notes: Although the LNWR and GNR stations were adjacent and shared an island platform they were in fact two separate stations with two station masters until 1917 when the station came under the control of the GNR using the GNR booking office. There was an exchange siding between the two companies lines and their respective goods yards. 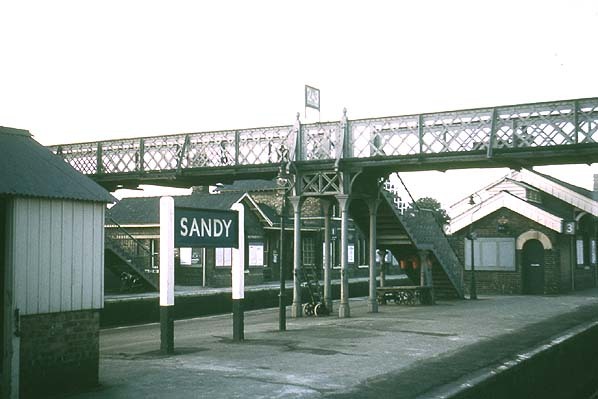 A new connection to the GNR line was added to the north of the station on 23rd June 1940. 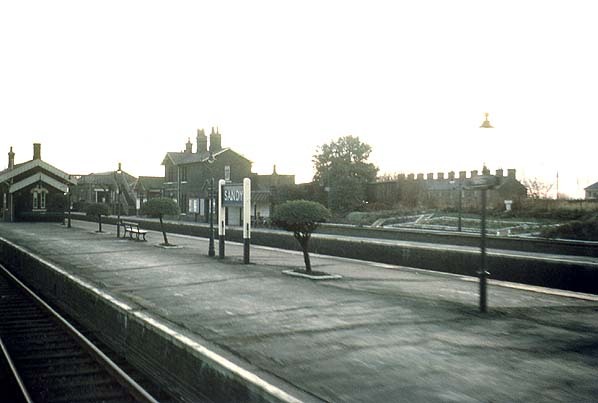 From Keith Barber: The GN station was considerably rebuilt in the early 1970s to give a 4-track layout throughout (previously there was a short 2-track section through the station itself). There are now platforms on the slow lines only. The Down Slow serves the GNR Down platform and the Down Fast is on the original alignment of the Up line. The Up GNR/Westbound LNW platform has been completely demolished to accommodate the Up Fast and the Up Slow; the new Up platform is approximately on the site of the LNWR alignment (possibly extending back onto the old LNW Eastbound platform). 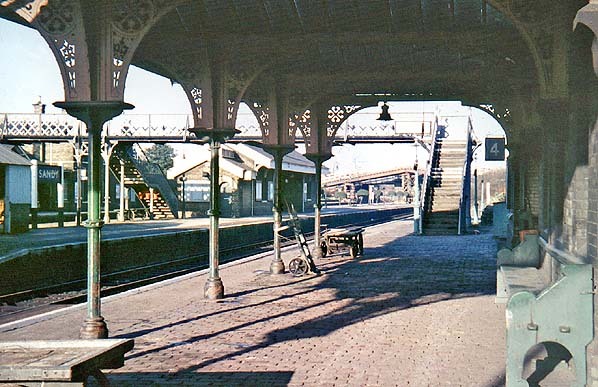 There is no trace whatsoever of the old LNW station. The LNW flyover remained in situ for some time after this (although the lattice structure must have been replaced at some stage by a substantial plate girder structure - conceivably a wartime change but that is purely speculation). but I don't know whether it is still there. Track lifting of the Bedford - Cambridge Line began on 13th August 1968. Track was left in place between Potton and Gamlingay pending negotiations for preservation by the Sandy & Potton Steam Railway Society. Unfortunately the Society was unable to raise sufficient funds and the 5.25 miles of track was eventually lifted. One section of the bed between Lords Bridge Station and the junction with the GER has become the site of a very long radio telescope belonging to the Mullard Radio Astronomy Observatory (Part of Cambridge University). The long level straight stretch of line was ideal for this telescope which is rail mounted, the track has however been re-laid and the gauge is now about 12 feet!